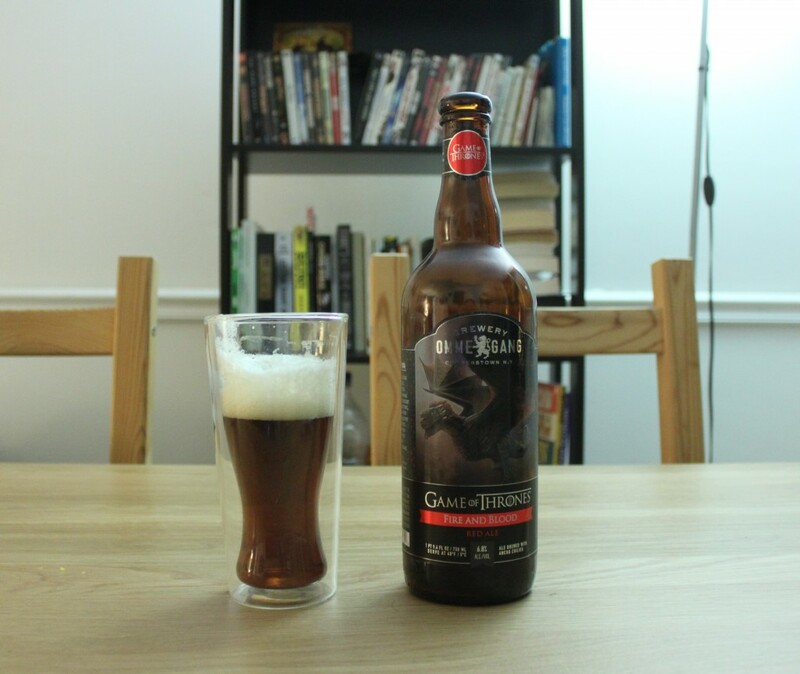 San Diego Comic-Con wrapped up this past weekend, and with Game of Thrones fresh in our mind, we decided to crack open the beer vault and give the latest Ommegang – Game of Thrones beer a try, Fire and Blood. We’re in the Game of Thrones off-season with filming of the season 5 in full swing for a 2015 premiere, so a healthy dose of booze and GOT was much-needed. Ommegang’s Fire and Blood is the third beer brewed specifically for the Game of Thrones show on HBO and was released in time for the season 4 premiere. This beer is named after the motto of House Targaryen, Fire and Blood and is inspired by Daenerys Targaryen and her three dragons, Drogon, Rhaegal and Viserion. In honor of each dragon, there is a specially made label depicting them. The labels are visually appealing and were all created by Game of Thrones visual effects specialists. This beer is a red ale with a spicy finish. For all Game of Thrones fans out there, this is a must buy bottle as we wait for the next season. Appearance – Pours a dark amber, mahogany color with a creamy off-white head. Aroma - Smells of bread and caramel malt, ripe fruits, raisins, plums, prunes. Taste – Sweet ale with a yeasty dryness. The hop flavor is not pronounced, but there and the chiles provide a decent spicy kick at the finish. Overall - 6.5/10 We like the beer, but also love the show. The spicy flavors could be more pronounced and less sweetness. This reminds us of familiar asian flavors of sweet, salty, spicy.